If you join my email list, I will never sell or share your email address with any other person or organization. No one. That’s not cool! I will also not send emails every day. Lately I’ve been writing about 3 or less blog posts a month. 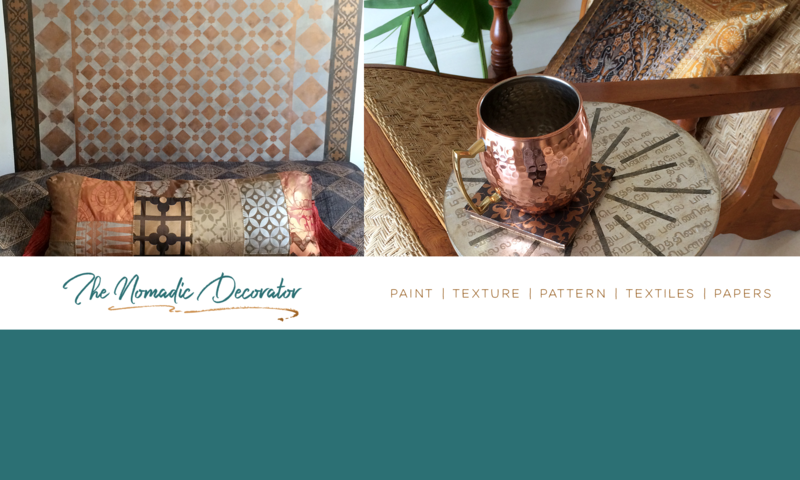 NomadicDecorator.com is a participant in the Amazon Services LLC Associates Program, an affiliate advertising program designed to provide a means for sites to earn advertising fees by advertising and linking to Amazon.com. I also participate in CJ.com and ShareASale affiliate programs. I participate in the Google Adsense program, and you may see ads in the sidebar and at the bottoms of posts. If you visit pages on my site or click on these ads, I may receive a small amount of compensation (uh, very small, like cents!). I will tell you when a post is sponsored. I rarely do sponsored posts. If I do them, they fit the content here. You won’t see me suddenly start writing about cars or something like that just for the money. When I use affiliate links, merchants may track your browsing and purchase activity through cookies. This site uses WordPress and Google Analytics. Cookies do not give me personal information to identify individual users. Cookies are used to understand how people use the site, and analyze traffic with information like how many people visit each post, for how long, what pages they visit. Data Used: Akismet is enabled on this site to prevent spam comments. The contact form submission data — IP address, user agent, name, email address, website, and message — is submitted to the Akismet service (also owned by Automattic) for the sole purpose of spam checking. The actual submission data is stored in the database of the site on which it was submitted and is emailed directly to the owner of the form (i.e. the site author who published the page on which the contact form resides). This email will include the submitter’s IP address, timestamp, name, email address, website, and message.